It is unlikely that Leonid Brezhnev (1906–1982) was the mastermind behind the conspiracy that saw Khrushchev peacefully voted out of office. 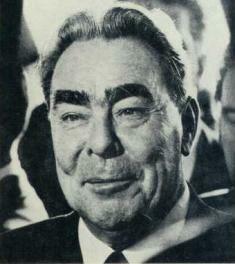 As an extremely cautious politician, Brezhnev was hardly suitable for the part of a coup ringleader. However, his position in the supreme leadership, including his membership in the Politburo, required his active involvement for the plot to be successful. Significantly, following Khrushchev’s removal from his post, Brezhnev repaid generously his backers with promotions, honorary titles, and other rewards. Brezhnev’s accession marked the beginning of a new stage in Soviet history. The top echelons of the state and party hierarchy were now fully dominated by a new generation of Soviet leaders. Their political careers were launched during Stalin’s violent cadres revolution of the late 1930s, when they were promoted to replace Communists, who perished in the bloody purges of 1937–38. Their older colleagues had been different: imbued with revolutionary ardor, they had thought of themselves as a cohort of staunch party warriors leading the masses to a radiant future. By contrast, the new generation of leaders, represented by Brezhnev, were brought up, trained, and promoted entirely within the Stalinist system. Most of them were pragmatic and mediocre functionaries, a product of a long-term personnel selection carried out by the dictator. They were not inclined to take risks or follow through on big objectives, but excelled in bureaucratic intrigues and politicking. Their intellectual and psychological makeup explains, to a large degree, the indeterminate, half-and-half nature of the policies of the post-Khrushchev leadership. Brezhnev seemed to be the embodiment of the typical characteristics of this new generation of Soviet administrators. He personified an average first secretary of the regional level and lacked many qualities necessary to be a national leader. No doubt, he was good at “apparatus politics” and bureaucratic intrigues, but this was hardly enough to compensate for his lack of education and strategic foresight. He enjoyed little respect among the Soviet people, who remembered the thrill with which Brezhnev used to pin medals on Khrushchev’s chest. He was seen as an ungrateful man, who turned against the very person who had promoted him to the top. The best that could be said about Brezhnev was that, at least, he was not a malicious or cruel person.